AKIPRESS.COM - The Mongolian parliament on Friday elected Gombojav Zandanshatar as its new speaker through a vote of 95.2 percent in the country's 76-seat parliament. The former head of the cabinet secretariat replaced Miyegombo Enkhbold, who was dismissed from his post on Tuesday due to an alleged abuse of power, Xinhua reported. 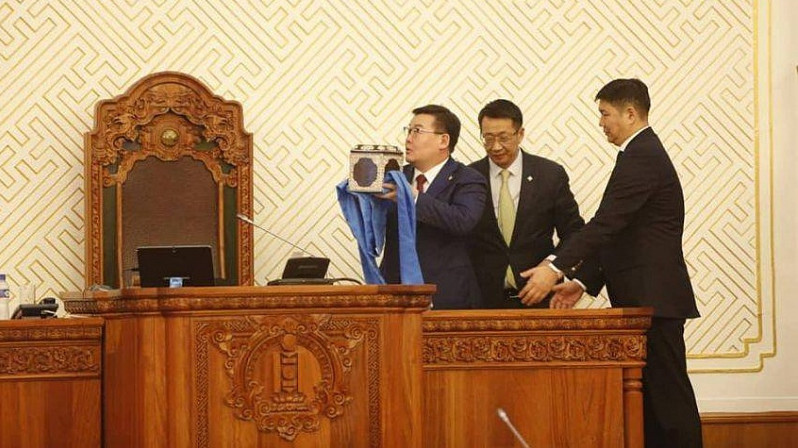 "I will pay special attention to ensuring the unity of the parliament, and reducing unemployment, poverty and income inequality in the country," Zandanshatar told the parliament. The 48-year-old from the Mongolian People's Party (MPP) has been elected as a member of the parliament three times in 2004, 2008 and 2016. In addition, he served as deputy minister of food and agriculture in 2003 -2004, as minister of foreign affairs and trade in 2009-2012, and as general secretary of the MPP in 2012-2013.